Brawn, Toyota and Williams cleared to race in Australian Grand Prix. After a hearing that ran late into the night, stewards have dismissed protests over the legality of the bodywork of the Formula One cars entered by the Brawn, Williams and Toyota teams and their six cars are now free to race in the 2009 ING Australian Grand Prix at Albert Park this weekend. The Ferrari, Red Bull and Renault teams had all separately protested the legality of all three teams' cars, specifically the diffusers which are a critical part of the rear bodywork of any F1 car. The three teams that filed the protests felt that Brawn, Toyota and Williams had been a little liberal in their interpretation of the rules. A panel of stewards of the race meeting handed down decisions in each individual case was handed down shortly before midnight last night. The stewards found that the cars in question complied with the appropriate 2009 Formula One Technical Regulations and rejected the protest. The teams which lodged the protests have each exercised their right to appeal the stewards' decision. Those appeals will now go to the FIA's Court of Appeal in Paris at a date expected to be after the second round of the 2009 Formula One world Championship, the Malaysian Grand Prix on April 5. 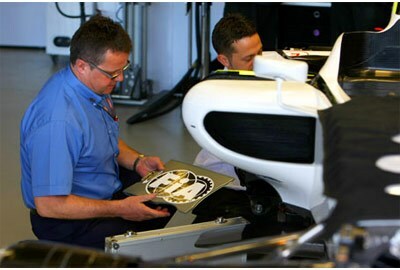 Williams' Technical Director Sam Michael said, "We are pleased with the stewards' decision and we have no further comment to make." In a statement, Toyota Motorsport said it has "studied the wording of the new 2009 regulations in precise detail to ensure that we have interpreted them correctly". Toyota Motorsport Chairman Tadashi Yamashina went on to state: "We are pleased with the decision of the race stewards but we prefer not to comment further on the situation. This weekend promises to be a tremendously exciting Australian Grand Prix so we are now looking forward to starting the competition on track with the first practice sessions on Friday."